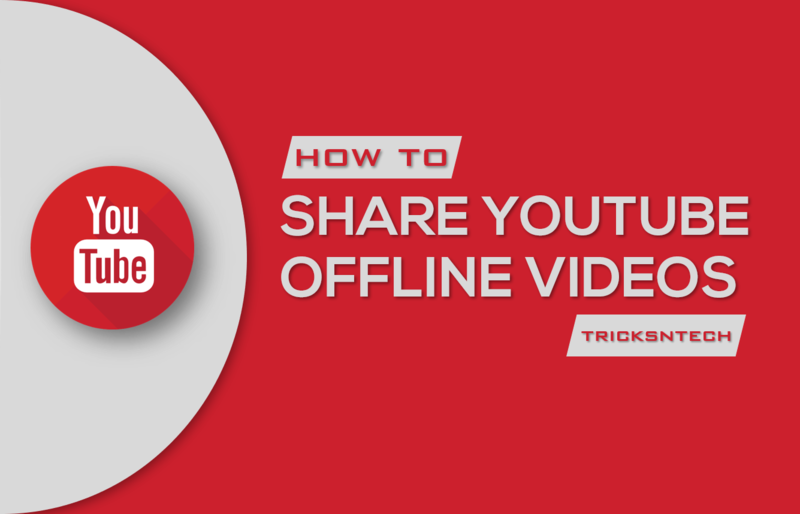 Despite YouTube offline videos can be watched on a single device, you can share YouTube offline stored videos easily with your friends, colleagues etc. by using these methods. Do you want to share your private video with someone on youtube? Yes, you can share private YouTube video with your friends and family. Are you still facing the following issues? 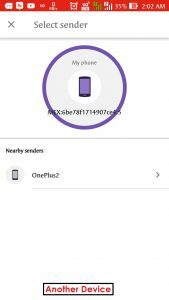 Transfer YouTube offline stored videos to another device? Copy/Move YouTube offline stored videos to another device? Here you go. Clear your all doubt by using the following methods. Step 2. Search for particular video on YouTube Go app that you want to transfer to another device. Step 3. Taping on video from search results will lead you to the following screen. You will find video quality options for saving it offline. Select your preferred quality and click on save button. Step 5. 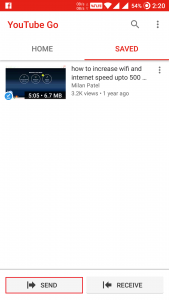 You will get the list of devices to which you want to transfer videos as soon as the receive button of YouTube Go app is clicked on another device. 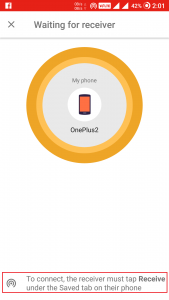 Choose the device appeared on screen and start sharing. Step 1. Hand over a smartphone or device in which you are having offline stored videos and another device to which you are going to share YouTube offline saved videos. Step 2. In the device containing YouTube’s offline stored videos, simply follow this Path in SD card storage or phone storage. Step 3. Now share/send this folder(Streams) to another device and paste/move it to the same location as mention above. Step 4. Then after, open YouTube app on another device where you just transferred the video which is saved in offline mode in the main device. Step 5. 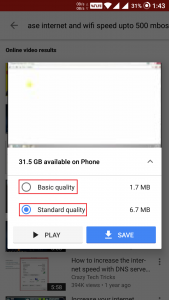 Click on save to offline button and select video quality as same as of offline stored video of main device. Step 6. Woila! Youtube has just read your already transferred file. Enjoy your youtube’s shared videos without buffering. The download may be started by an inappropriate reading of transferred files, give it few more tries. So, this was the easiest guide on share youtube offline stored videos. However, you can also share unlisted YouTube video. These methods require specifically when you’re about to change your mobile device and you don’t want to lose your previously saved youtube videos. Based on the user’s queries, we have especially worked on this trick. If the method other than YouTube Go is not working, you need to give more tries as there can be reading problem on your device. If you still have any issue regarding sharing YouTube offline videos, feel free to comment here. I have save more than 80 videos in offline folder in letv 1 , how can I transfer to another device please let me know. Just follow the described instruction, Praveen. Please follow the steps one by one accurately. It’s working like charm here. As i mentioned earlier, give it few more tries and it will surely work. I have pasted the file but i am not seeing the icon. just give it few more tries. it will work. i wanted to know that how can offline downloaded videos from youtube or any other app can be converted into normal videos. so that u can keep& play them forever on other devices or wherever you want. Yes. We know about it. But here we are talking about offline youtube video. So, We have shared trick of saving and sharing offline youtube video. Hey, can u plz tell me how to decrypt these .exo file to play my offline saved videos in third-party app……. You can not decrypt .exo file. You can play it in your Youtube app. I use method 2 and it doesn’t seems to work. I tried a few times. Whenever I “save to offline”, it just download instead of read those files. As we mentioned, Give it more try if isn’t working. Thanks. How this works in Iphone ? Where are the YouTube videos stored? 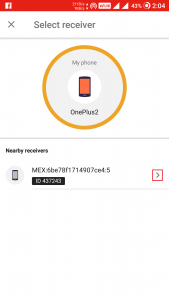 How to transfer to another android device? Right now, Youtube Go app is available only on Android platforms. So, It will work on Android devices. If any updates come for iPhone then we will update it for sure. How if the offline video i have saved is now deleted from youtube? If it is deleted from youtube then you can do nothing. We have already mentioned the path in the article. Please check it. 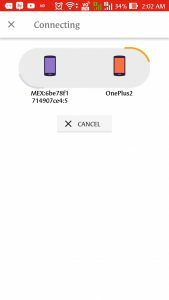 I just have a doubt i got a new 32 gb sd card so i wanted to share my youtube offline videos from my previous 16gb sd card so i should just copy and paste the folder “Android” from my old to new sd and open my youtube app by inserting my new 32gb card where i copied the folder. Then can i get all my youtube offline files just as same as with my previous 16gb card? To the same folder located on sd card? Will my internal storage videos transfer to sd card and can youtube app read and play them. Just had my doubt as i transferred from internal storage to sd card.